(RxWiki News) Many factors are associated with jaw pain including genetics, environment and personal habits. Depression and anxiety also play a role in jaw pain, but to what degree is not fully understood. A recent study looked into the link between depressive and anxiety-related symptoms and temporomandibular disorder (TMD) pain. The study showed that those with depression and anxiety had higher rates of TMD pain upon examination by touch. Depressive symptoms were linked to TMD joint pain and anxiety was linked to TMD muscle pain. "Talk to your doctor about any jaw pain you experience." Stefan Kindler, MD, PhD, of the University of Greifswald in Germany, and colleagues evaluated over 4,000 German citizens over the course of five years. The study participants underwent medical and oral health examinations, health-related interviews and completed a questionnaire about psychiatric risk factors. 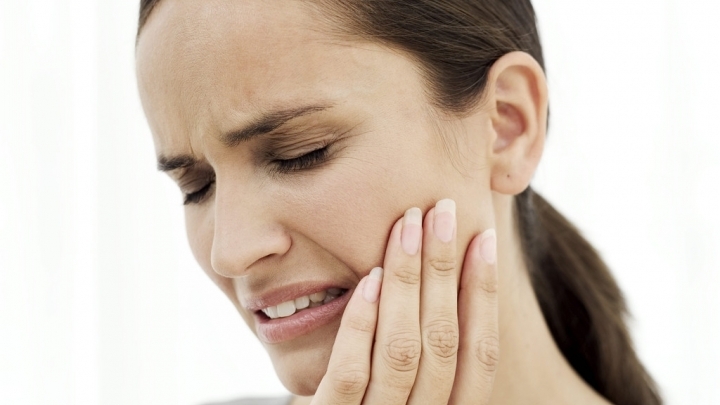 TMD occurs because of problems with the joints and muscles that control the movement of the jaw. TMD may be brought on by tooth grinding, facial clenching or genetics. At the end of five years, 3,006 participants remained in the study. TMD joint pain was seen in 122 of the remaining participants, and 50 of the 3,006 had muscle pain. Participants with depressive symptoms had a higher risk of joint pain in the jaw than muscle pain. Those who had anxiety were more likely to have muscle pain than joint pain. The authors speculated that depression and anxiety may bring on muscle activity that may cause pain or inflammation. They also suggested that chemical imbalances in the brain may cause an individual with TMD to not process pain correctly. The study was published in the Journal of Pain. Funding was provided by the Federal Ministry of Education and Research, the Ministry of Cultural Affairs and the Social Ministry of the Federal State of Mecklenburg-West Pomerania. American Pain Society, "Study Assesses Mood Disorders with TMJ Pain" The Journal of Pain, "Depressive and anxiety symptoms as risk factors for temporomandibular joint pain: a prospective cohort study in the general population"